I do not like tunnels, especially if they go under water. I have this unrealistic fear that I will be buried alive and Jesus won’t know where I am. I will avoid tunnels at all cost except for one reason – love. My love for my husband and my children will motivate me to face that fear time and time again. My first experience with the Hampton Bridge Tunnel in Virginia was when my son returned home from Iraq. Nothing was going to stop me from seeing him, and if I had to go through a tunnel, I would. I believed that if he could survive deployment, I could conquer the tunnel. My two daughters and I decided to make the long drive from West Chester, Ohio to Virginia Beach, during a tropical storm with localized flooding in Virginia. 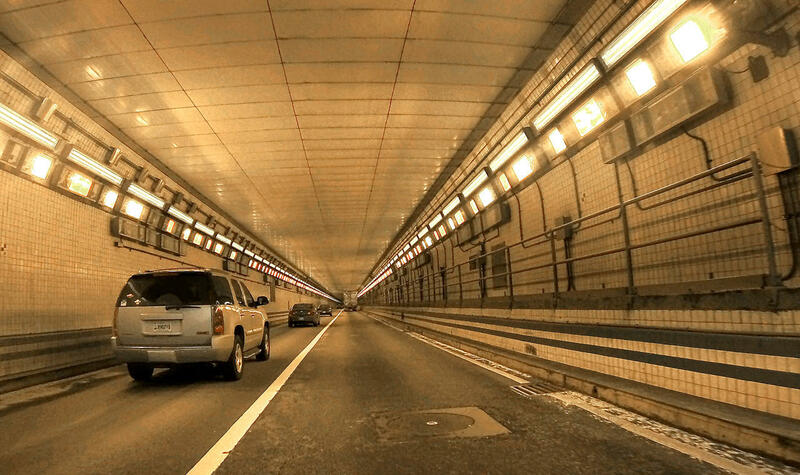 As we approached the tunnel, I ignored the signs that warned, “___ miles to the Hampton Bridge Tunnel…Last exit before the tunnel…” When I read, “Be sure you have a full tank of gas,” I turned to the girls and said, “What the heck is that about? We are driving through, not taking a scenic tour.” The rain and wind continued to bear down on the car as the interstate made a quick decent into the looming tunnel of death before us. Without realizing what I was doing, I began a series of “Jesus, Mary and Joseph pray for us sinners now and at the hour of our death. Amen. We are all going to die.” Followed by a series of words that should not be said, nor will I repeat. My daughters found great humor in my distress and laughed hysterically all the way through the tunnel. Although I have made the trip back and forth several times, it has never gotten easier. The tunnel has not changed. It is still 3.5 miles, or 18,489 feet, or 221,760 inches under water. Although I am still terrified, the other side holds something much greater than my fear. Through gritted teeth I heard myself say, “It isn’t the end result; it is the journey to the end that concerns me.” We laughed. That thought has lingered in my brain and I realized there is great truth in that statement. It isn’t the destination that concerns me. I know where I am going. I will be with Jesus. It is the unknown and possibilities in the journey along the way that distracts me.